Pools by Nature – Organic swimming pools filtration system, Pools by Nature California US design & build effective NSP – Natural Swimming Pools systems without a regeneration plant area, using efficient bio filtration method that works excellent in warmer climate. Organic swimming pools filtration system, Pools by Nature California US design & build effective NSP – Natural Swimming Pools systems without a regeneration plant area, using efficient bio filtration method that works excellent in warmer climate. At Pools by Nature we think organic. We look to nature for ways to create the ultimate swimming experience; to swim in natural waters with no chemicals of any kind; just pure water to dive into and live again. Stop swimming in a chemical soup. Chlorinated pools, or in their new name salt-water pools are known for their health hazards with high operating and maintenance costs. With our advance automatic organic system, the pool itself can be built like any other pool and do not require plants to regenerate the water quality, instead we use advance innovated technology to purify the water. We protect the environment and build pure natural swimming pools with a carefree biological filter that work perfectly even in warmer climates. 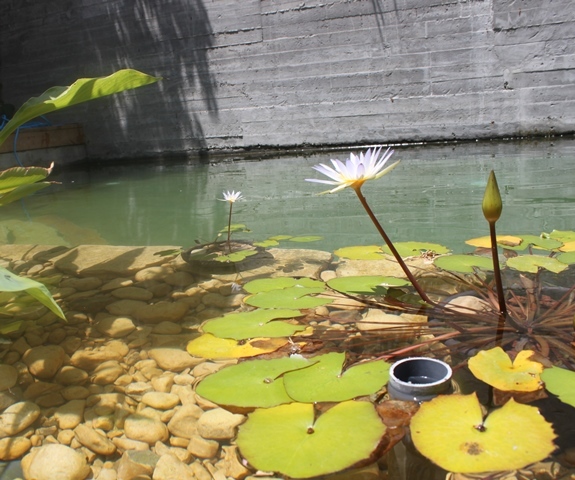 Aquatic plants can be added for enjoyment but they are not essential for keeping your water clean and natural. We build simple and smart eco-friendly pools. Whether constructing a new pool or refitting an existing pool; our system is cost-effective to install and maintain. It effectively keeps water clean and safe year-round, providing you with plenty of free time to relax and swim in crystal-clear waters. We build pools by the way of Nature. Pools by Nature is a unique, high-end technological filtration system, a 100% chemical free to operate organic pools in an efficient way. Our proprietary system produce clear, healthy water with no added chemicals at all. Chlorinated or salt-water pools release to the water, a ray of toxic chemicals; many of which are considered poison and where long-term exposure could cause symptoms of asthma with eye or skin irritation in swimmers. One is actually swimming in a chemical soup; in which chemicals attempt to kill all components, including the ''good'' bacteria. In reality, not all contaminants are eradicated, where many are immune to chlorine. Instead in our organic system, we combine natural processes with advance scientific knowledge and technological innovation to optimize water cleaning. With a balanced ecosystem, “good” bacteria are able to control the harmful bacteria, maintaining at all times several layers of defense. We build new, retrofit existing pools or can even make indoor organic pools. The design can fit any pool size, style or wildlife settings. The system is extremely adaptable and can fit in most existing service areas. We can accommodate various existing site conditions and personalize your natural pool. You can incorporate aquatic plants to enhance the landscape in any scope or way you wish and even have some fish to swim along. Color ton of water in our organic pools is transparent, depends on the pool surfaces themselves; it can look clear blue or other. Although the organic pool, shown here has some edge plant areas, our advance Eco design, actually does not rely or require any wetland regeneration plant zones to purify the water. Instead, we implement our high-end filtration technology; taking advantage of the equipment excellent capabilities to achieve long-lasting, sustainable ecosystem with excellent performances in water clarity and health. 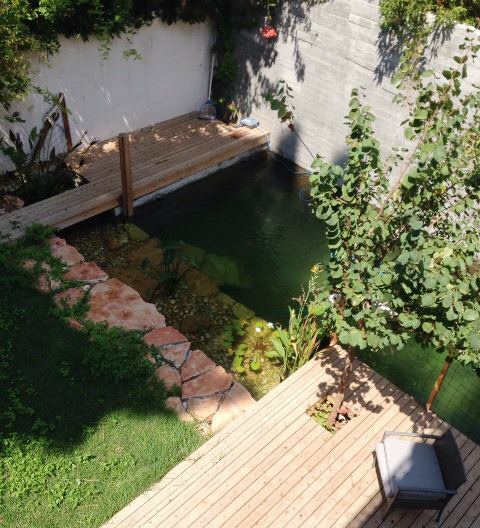 No need for major landscape works; we can build organic pools in smaller urban lots. The system is efficient and works extremely well in warmer climate. Pools by Nature filtration systems are environment friendly, economical with many significant saving benefits. Counter to most existing natural pool builders in the market today, we do not require the construction of the much expensive wetland regeneration plants areas. The system fit in a relatively small, below deck pool service area and works in gravity ! minimizing electric usage with build or running costs significantly lower, than any other chlorinated or biological swimming pool in the market today. As our pools mature, the water quality will improve and your costs will reduce with time. Our organic system is simple, reliable and fully automatic; it clears all excess waste directly to sewage and has low ongoing maintenance. The system is a complete operation method. Water flows from the pool by gravity, through an automatic filter then to a Biofermenta chamber and returns to the pool with quiet, low-wattage water pumps. The system is dependable with only simple service required. Our pools can be covered or heated to a comfortable swimming water temperature [up to 86F]. Beside regular compensation for evaporation, no water change is required ever. 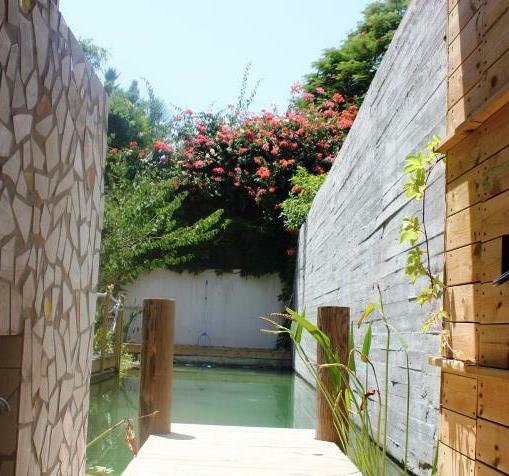 We provide not only healthy swimming water quality, but an environment that enriches life; a unique swimming experience in natural, fresh water oases, attracting Dragonflies and birds; a calm place of self-reflection. Water needs to be cleaned. In chlorine swimming pools, a detergent is used to disinfect water; it destroys all life in the pool. When the pool is contaminated, it will take a long time for the chemicals to actually clean the water. 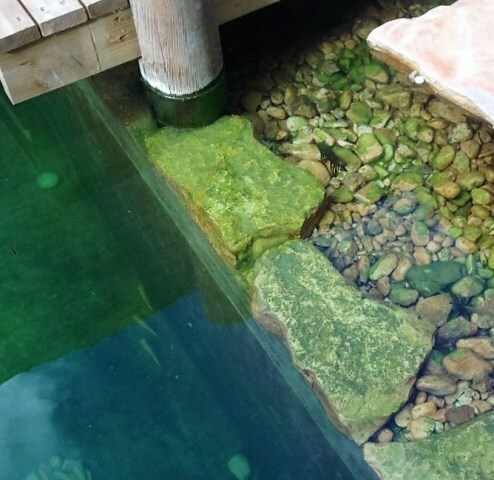 Filtration system in our natural & organic pools provides a better solution; instead of fighting, we work with nature. Billions of good bacteria can absorb the infection faster and in a safe way. Let’s look at how nature works; on water ecology. Water can be contaminated when organic matter, such as dust, leaves, vegetation, pollen, rainfall, bird droppings or swimmers’ sweat is added to it. The total weight of organic substances in a water basin is called its Biomass. When these organic materials decompose in water, the biological oxidation process begins in which nitrogen is released and reacts to form other compounds, ammonia being the first. Combinations of bacteria, convert the ammonia to nitrite and nitrate. While ammonia and nitrite are very toxic, even in small concentrations, the nitrate has a very low toxicity and is easily consumed by algae and bacteria growing in water. This is the biological nitrification conversion process which is also known as the Nitrogen cycle. To achieve a balanced ecosystem, the dissolved oxygen level should exceed the Biomass level in the water. For this process to occur successfully, oxygen absorption into the water is essential. In warmer climates, where the environmental load is heavy with less oxygen concentration, stable equilibrium requires for the biomass to be removed fast so as to decrease oxygen consumption and at the same time, have enough oxygen to successfully complete the nitrogen cycle. We think simple. 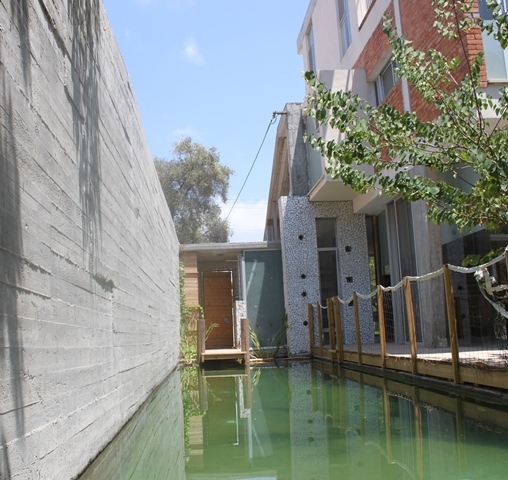 Our Pool by Nature system uses an efficient high-end technological organic filtration method in a smart closed cycle. We clear the water from the excess biomass with advance mechanical filtration systems, while biologically purifying the water and adding oxygen in an effective way. Water flows by gravity from the pool through a series of filter segments. After the initial stage, where no skimmers are required, water move thru an automatic particles debris removal and then through a biofermenta system, where it is biologically purified. Pure water is then returned to the pool through, low-wattage water pumps, dispersed throughout the pool properly, providing water oxidation. There are other expertise process which make PbN system unique with many ecological benefits. Our system produces safe quality swimming water - inline with the strict German standard water FLL Guidelines, which are adhered to by Natural Swimming Pool [NSP] builders throughout Europe. As of now, residential private pools in the US have no regulations requiring specific disinfection, beside the restrictions on registered pesticides and other local regulations. Pools by Nature consult to build organic pools anywhere in the world. With expertics in the field, we design new or re-fit existing pools to make them operate naturally without the need for a regeneration plant area. Our organic system is a complete operation method, which includes specific equipment, water flow management, fitting configuration and other settings. Each location and project has their site specifics and challenges which determine the specific layout, assigned equipment and cost. Initially we work with clients to determine requirements, offer pool and system layout with options on the best suited configuration for our organic filtration system. We provide the knowhow, concept and system schematic design; supply the required filtration equipment components themselves with installation and maintenance instruction for clients local contractor to install PbN filtration system. Building an organic pool is like growing a healthy tree. Once build we will accompany the growth of your pool to insure it develop into a healthy and well-balanced ecosystem. We produce not only healthy swimming water quality, but also an environment that enriches life; a unique swimming experience in natural waters, equilibrium with the surroundings, a place for self-awareness. Start swimming in pure freshwater, send us a note and let’s talk on how we can help build your Pool by Nature.